The 2016 NY2LA Sports Spring Extravaganza kicks off on Friday. In its inaugural weekend, the NY2LA Association will feature some of the best hidden talent in the nation. Coming to Minneapolis will be a number of underclassmen prospects, looking to make a name for themselves on a national level, including Marcus Domask of RAS Milwaukee and Owen Coburn of Martin Brothers Select, who continue to get better with time. A super-quick guard, Adams is one of the more exciting players in his class. Only 5-foot-8, Adams is fearless even when attacking the teeth of the defense. Able to break down and blow by defenders, you never know what’s coming when it’s time for Adams to make a play. A terrific open floor passer, Adams can drop some incredible dimes when he has room to work and his teammates love move without the basketball, knowing Adams will find them. 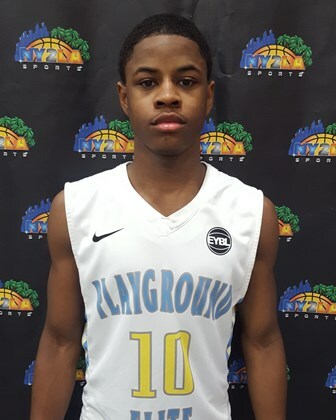 A solid young interior prospect with length and potential, Coburn opened lots of eyes with his strong play during last spring in the GNBA middle school circuit and the talented big continues to trend upward. He has all the tools to become a high major Division 1 prospect and he’s one to keep close track of this spring. A high energy wing, Dietz attacks the glass on both ends of the floor and racks up rebounds. A good decision maker with the ball, Dietz will take what the defense gives him and shows an unselfish nature. Expect Dietz to be very efficient offensively, whether its shooting a high percentage from the field or generating looks for his team, Dietz has a good feel for the game that allows him to control the flow. Arguably the top freshman in the state of Wisconsin, Domask has only boosted his stock since winning a Division 3 state championship this season. A skilled wing that does a little bit of everything, Domask has few weaknesses in his game early. A good three-pointer shooter and slasher, Domask is an unselfish leader, always looking to penetrate and dish around the rim. His best work comes in the paint. An advanced post-up player, Domask will dominant a game using nothing more than establishing early position and sealing off his man. An excellent scoring talent who can finish at all three levels, Johal can flip the score board consistently and dominantly. He attacks off the bounce, he can hit the mid-range pull up, and he has spot up range beyond the arc. Already holding some Division 1 offers, Johal is one of the best kept secrets in the 2018 class for scoring guards both regionally and nationally. A talented and skilled guard who can slide between the lead guard and the off guard position, Nau can score in bunches or create on time for his teammates to score. 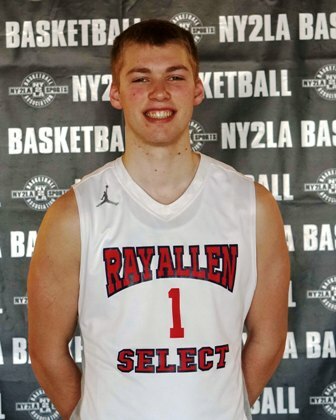 He has size, plus length, excellent range, and a quality feel and he is one of the top 2019 prospects on the rise in the Midwest. A hard-nosed guard who’s comfortable on and off the ball, Steffen has skills as a point or shooting guard. A strong driver, Steffen can put his head down and play through contact. He’s also a sound shooter off the dribble, particularly from mid-range. Also able to run the show offensively, Steffen plays a number of roles. A high-scoring guard, who can flat out catch fire from three-point range, Toussaint is one of the best shooters in the field. He’ll take a number of shots from downtown, but Toussaint will also produce. If he gets hot, Toussaint has been known to hit as many as eight three-pointers at GNBA events. An explosive athlete with versatility and skill, Williams can finish in transition, create off the dribble, and he has the ability to knock down the jumper. He can finish from all three levels and he looks the part of a legitimate Division 1 caliber talent on the rise in Iowa. A tremendous ball handler and off-the-dribble scorer, Young keeps defenders guessing. Able to pull up from downtown with a quick stroke, or attack the basket, Young is an explosive scorer. At 6-foot-3, Young can play above the rim in transition. However, it’s his shooting ability that separates him from other guards. A very confident shooter, no shot is too big for Young. Stay tuned to NY2LABASKETBALLASSOCIATION.COM for complete coverage on the NY2LA Basketball Association all spring and summer.